Thanks for asking, my results were ok I just posted an update/summary and recap so to speak as the end of the challenge I placed to myself…this link should take you to the results summary. Overall +1,056 pips. I am pleased with it, although I could’ve done better pips wise, but doubling my bank in 4 months is ok to me. Now I can move from 5% investment per trade down to 2.5% and continue betting at the same levels. this is the link to the results. Yeah, Candlesticks keep things simple and they already tell what will happen before the news as you said. I´m a former Central Bank Economist and I can tell you that most of these news items are unreliable because of their short-term nature. Once you know which Candles are the most accurate/reliable, using these will be good enough. Live Account record coming up in a few days. I saw your thread…good trade results. What has been the overall performance with these 100 trades? Based on the Analysis of Consolidations, Candlestick Patterns and Resistance, we are gonna see a Major Reversal taking place over the next several months. This will start with a pullback at a Major Resistance Point at 83,80 and then a False Consolidation Reversal. WHY IS IT LIKELY TO PULLBACK DEEPER? 1. What Type of Daily Candle Should we Expect? 2. What Type of 4H Candle Should be traded? 3. 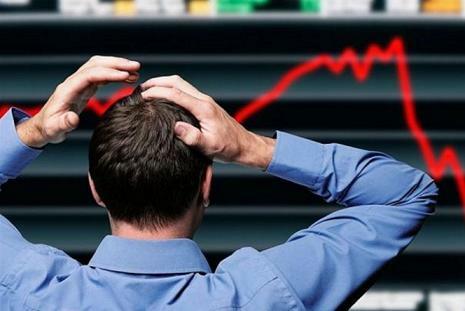 What Type of Stop Loss Should be used and how much? 4. How long should the trade be held? I really appreciate your contribution! No doubt, video tutorial is one of the most useful way of learning for the beginners! Hope this helps them! Even, I like your chart analysis! Just be consistent here! Hey Luke, thanks man, appreciate it. So as you would have noticed, NZD JPY is now sharply bearish as I had forecast in the previous video. Unfortunately it didnt present any setups that I liked, but since this movement is expected to continue, a setup is still possible trading short . Once you close the Smaller Time Frames for good, you are MUCH MORE LIKELY to avoid unnecessary losses and trade in the major direction of the market. MAIN ADVANTAGES OF LARGER TIME FRAMES? Easier to get surprised by major Reversals caused by the Larger Charts. You are always welcome! Keep it up. THAT BULL CANDLE SIGNAL COULD BE A MARKET TRAP! When it comes to trading within Consolidations, this is a very common challenge. While Consolidations are being formed, we can trade the Bullish and Bearish Waves that the market provides. However, we have to know the Appropriate Signals that can be traded for the TYPE and SIZE of the Consolidation being formed. Otherwise a signal that worked for you in a previous situation may lead to losses the next time you trade it. 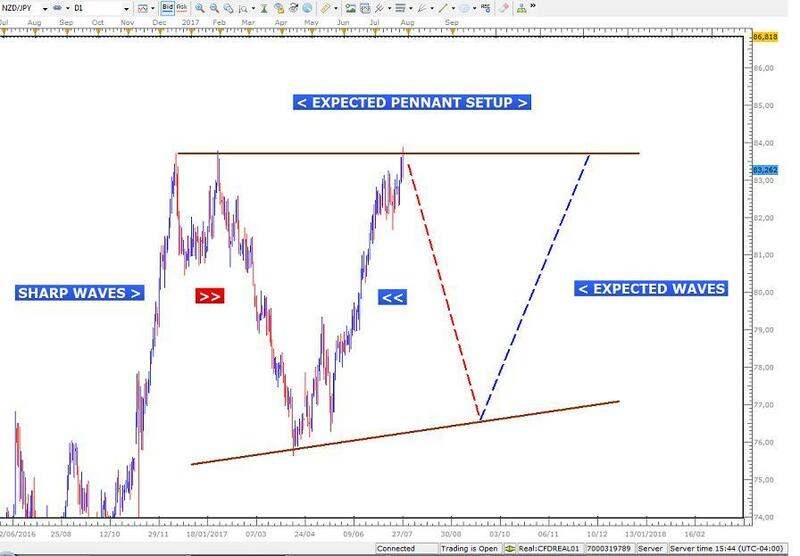 An example of this is the case of the Double Bottoms and ABC Signal that are now seen on the 4H Chart on the EURO NZD. 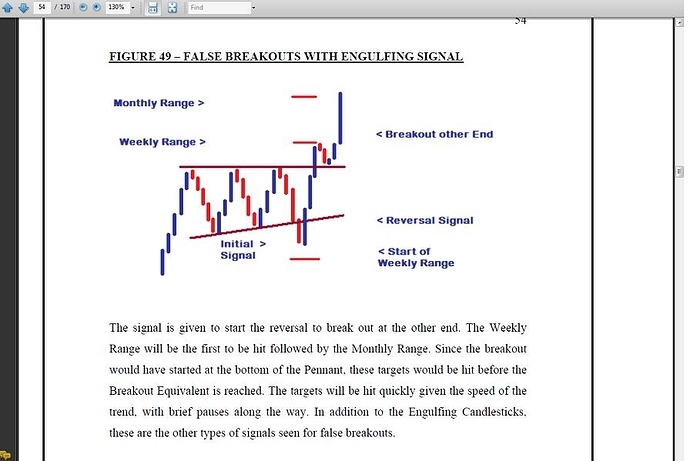 In the video below, I explain why these signals may not lead to a Bullish Movement that can be traded. Even if it does, it can be a volatile movement that is difficult to trade. Ever faced this scenario where a Signal you traded successfully one day suddenly leads to losses next time you traded it? Hey Traders, back with you after a break to fine tune my new strategy that you will enjoy. Previous Strategy targeted 100-200 Pips over 5-7 Days and while this had some benefits, it was much too slow in terms of Returns (40% Annually). 4. Daily & 4 Hour Charts used for Signals and Entry, respectively. This took advantage of the False Breakout Reversal on the Pennant of the Daily Chart. Stop Loss was placed below the Candlestick Formation, with Entry at the close of the Candle. At the end of the 24 H holding period, market rallied as expected to provide a small gain of 33 Pips - equivalent to a 3% on my account. Even though target was 60 Pips and a 6 % Return, I had to exit for a smaller gain as the market did not rally to the target by the end of the 24 Hours - nevertheless, profit. False Breakouts can be traded aggressively. Key is to know the Right Signals and Entry Setups to use. 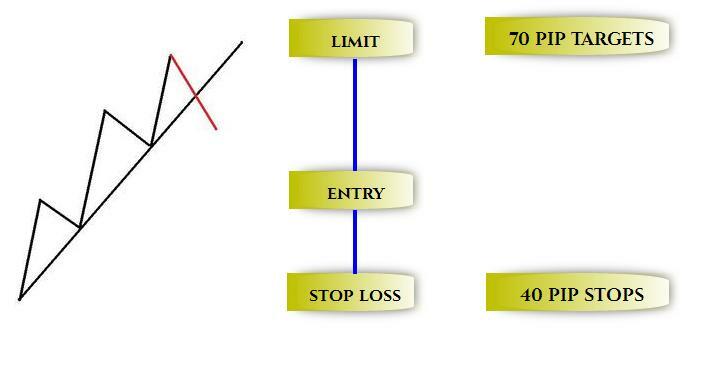 Once Stop Loss placed at a Strong Area, no need to monitor the trade - Set It and Forget It. This is much easier if your Live Account offers email alerts. These alerts allow you to know when the trade has been closed so that you arent tempted to interfere with the trade - NO EMOTIONS! 6. Always Exit Trades Religiously at the end of the Holding Period - just in case market reverses sharply! So thats the trade in a nutshell. On average 1 to 2 of these setups appear each week. I dont need to trade every day since the next trade is just a few days away and will provide a Strong Rate of Return because of the Wide Risk Reward Ratio - more than justifying the wait. Look out for more later this week. Even though I no longer use Weekly Range Trading on my Live Account as stated in tthe previous post, I still use it in the Dukascopy Trading Competition. 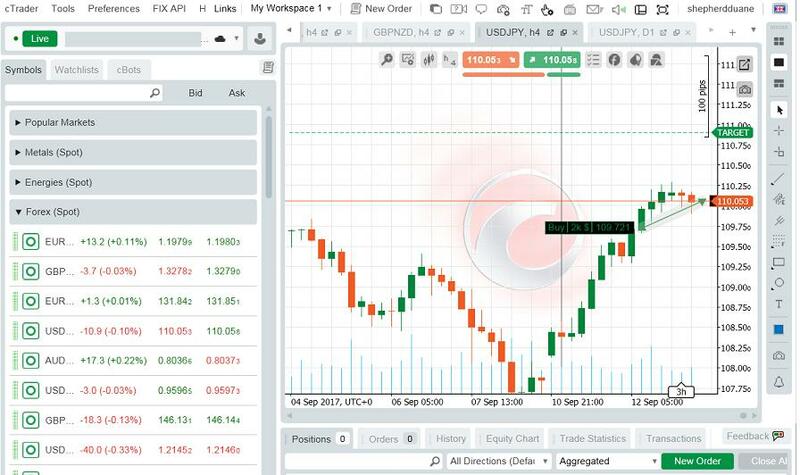 Check out this 137 Pip trade on tthe GBP CHF. This Video shows the accurate market forecast for the recent decline on the EURO USD this week. Based on the theory of how Consolidations are formed, I was able to predict this movement using the Candlestick Patterns on the Daily and 4 Hour Charts. 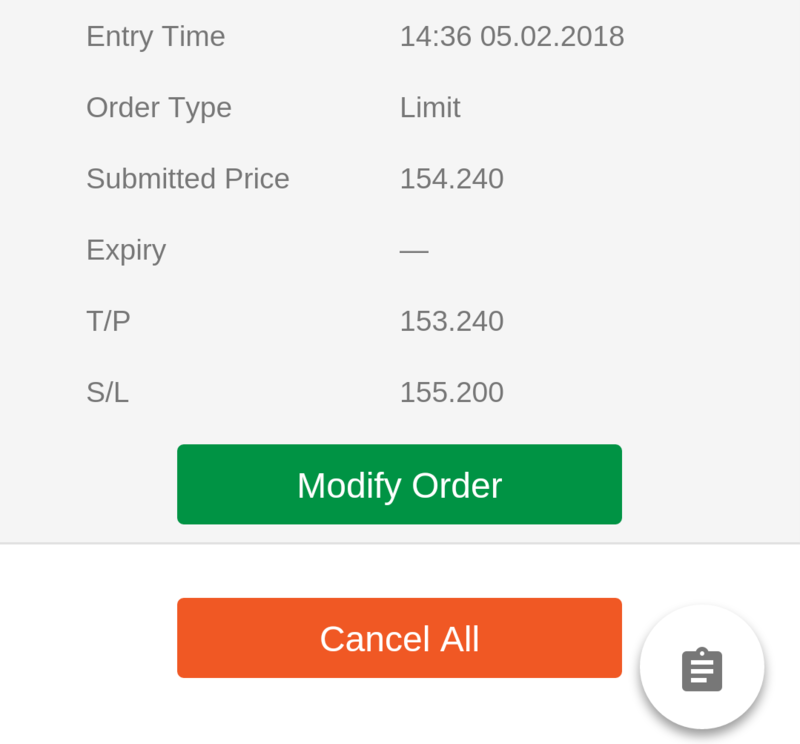 As you will also see, I had intended to trade the setup on my Live Account but unfortunately the price did not pullback enough to satisfy my Risk Per Trade Maximum of 4%. However, I was able to capture a small gain in the Dukascopy Competition where my Risk Per Trade Rules are more relaxed. You dont have to wait for a Consolidation Setup to be formed before trading between Support and Resistance. Once you see the waves that begin the formation of these Setups, you can trade them aggressively. Once you know how to predict market movements with Candlestick Patterns, you can capture the trading target in keeping with your strategy, whether you are a Scalper, Day or Overnight Trader. This Video shows example of how we can capture large and quick Pips as the market forms Pennant Consolidation Setups on the 4 Hour Charts. 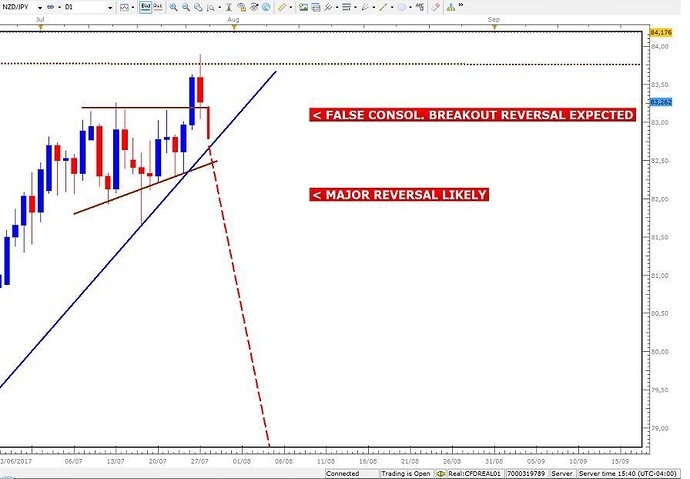 This Video shows a successful trade made in the Dukascopy Trading Contest that took advantage of the False Breakout Reversal on the 4H Chart Range Setup of the EURO NZD. Once you can use the Candlestick Patterns to identify Consolidation Setups on these time frames, you can trade within these boundaries for strong trading gains. 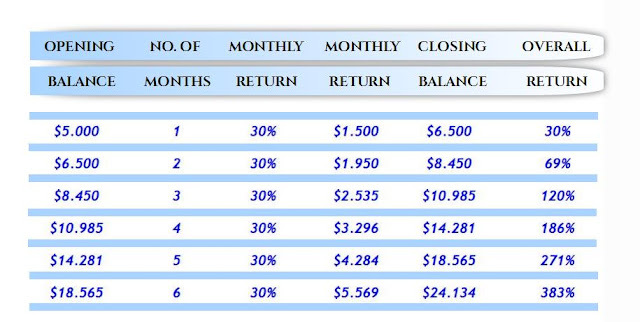 28% RATE OF RETURN - IS THIS ENOUGH OF A MONTHLY RATE OF RETURN FOR FOREX TRADING? This Rate of Return was earned during the Trading Competition with Dukascopy Bank for the month of December, 2017. 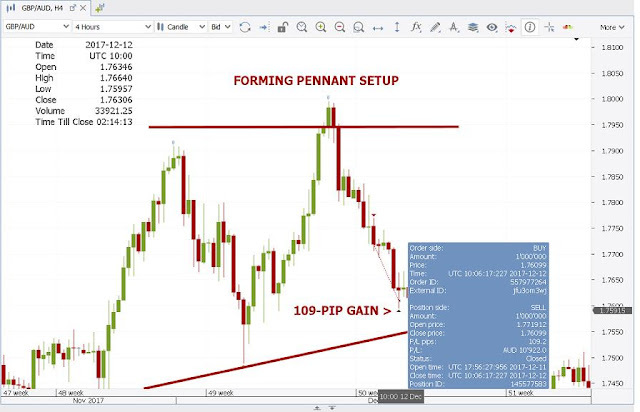 It reflected the Monthly Targets I have set for my Live Forex Account using my new Aggressive Swing Trading Strategy that targets High Probability Trades each week. With only a few of these types of trades needed each month using Reliable Candlestick Signals and Consolidation Setups on the Daily and 4 Hour Charts, I think this type of Monthly Return is possible and more than enough to provide large gains from the Forex Market in a very short time. The table below shows the summary of the monthly outcome in the competition. For the period, a 28% Rate of Return was earned with a Maximum Drawdown of just 5%. This Return was in sync with monthly target that I have set for my personal trading on my Live Account. The Aggressive Swing Trading Strategy I use is summarized below. Powerful and accurate Candlestick Signals and Consolidation Setups are used to Swing Trade the Daily and 4 Hour Charts each week. This is based on the Trading Theories and Strategies that I discovered actually control the Forex. 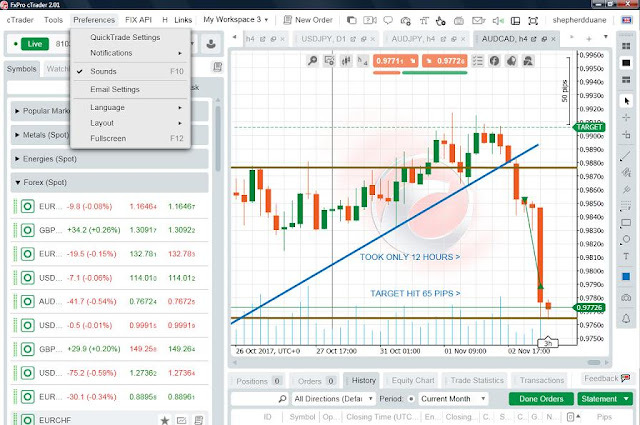 As you heard in the video above, there are times when trades that offer less than 50 Pips or more than 70 Pips are also targeted, so long as the setup is strong enough to justify taking the risk. All trades are held for a maximum of 24 Hours since this was discovered to be the time needed for the High Probability Trades to hit their Pip Targets. It also imposes a level of discipline that prevents being greedy. Should you draw the Support & Resistance Lines across the Body or the Wicks of the Candles? or Both? Which Consolidations are too risky to trade? Which Candlestick Signals are reliable vs risky ones that lead to losses? Which Breakout Candlestick Signals are risky and usually lead to False Breakout Reversals back inside of the Consolidation? Should you always trade to the Resistance/Support Boundary or exit just ahead of these areas? Where are the safest Stop Loss Areas and does it depend on the type of Trends/Candles within the Consolidation? These are just a handful of the issues that we face when trying to master these popular setups that appear each week. However, if you have the solutions to these questions and include them as part of your trading, consistent gains from them can be yours. These were the 4 profitable trades made during the Duskascopy Bank Competition that led to the 28% Return in December. They show that Consolidations can be traded for consistent gains once we know how to draw them and trade with the right Candlestick Signals. After Just 12 Hours, the Target was Hit. Target was set to the Resistance Boundary which was hit within 24 Hours. After Just 24 Hours, the Target was Hit. Within 24 Hours, the Target was Hit. So as you see here, Consolidations - no trends - were what I have been trading in both the Competition and on my Live Account. 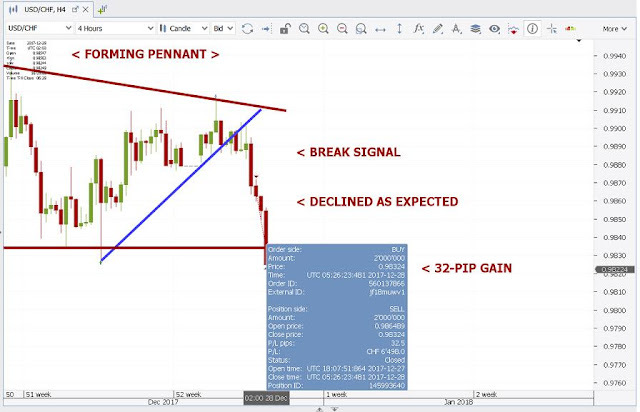 These patterns reflect the limited range of Pip/Currency Movement by most pairs over the last several months and the need to be able to trade these setups that are becoming the norm. Ever wondered whether knowledge of Economics is actually necessary to be a profitable Trader? As someone with a Masters in Economics and as a former Central Bank Economist, I can state categorically that this is not true! This can be quite surprising given the nature of the market we trade- exchange rates. However, after 10 yesrs of trading, it has become clear to me that all you need is a knowledge of how Candlestick Patterns work on the Larger Time Frames. Here is a brief summary of my strategy that explains and justifies my approach to trading. 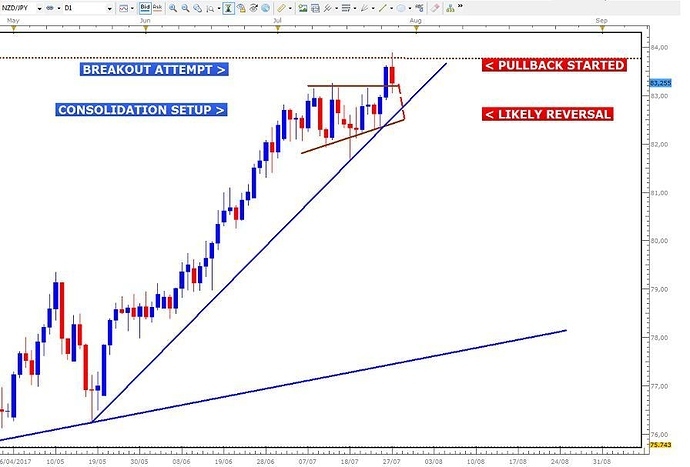 The strategy targets gains of 50-70 Pips over a 24 Hour Period using the accurate Candlestick Patterns, Trend Lines and Consolidation Setups of the Daily and 4 Hour Charts. After experimenting with various Statistical Indicators across all time frames for several years, I finally discovered that there were certain combinations of Japanese Candlestick Patterns that offered more reliable Entry Signals, especially when combined with the correct way of drawing Trend Lines and the “Best-Fit” Method of identifying Consolidation Setups with Support and Resistance Lines. As a former Central Bank Economist with a Masters in Economics, I can state categorically that a knowledge of Economics or Financial Markets is NOT necessary to successfully trade the Forex Market. Yes it is true that many strategies out there successfully use Economic Data to predict market direction and that knowledge of various Economic Variables is crucial to the conduct of Monetary and Exchange Rate Policies. However, at the Retail Trader level that targets short moves within 24 hours, finding accurate Candlestick Signals was found to be more reliable than using short -term economic data that is too volatile to be used in a meaningful way. In addition, what you will notice is that whenever there is a major news release during the day, the Candlestick Signal formed on the Larger Charts will eventually reflect the overall reaction by the market to the news. This means that you can simply wait for this Candle to close to indicate where the market is headed and then trade accordingly - without having to play the guessing game with these releases on the smaller charts. The strategy builds on the ability to accurately forecast the Weekly Range Direction of Currency Pairs each week. 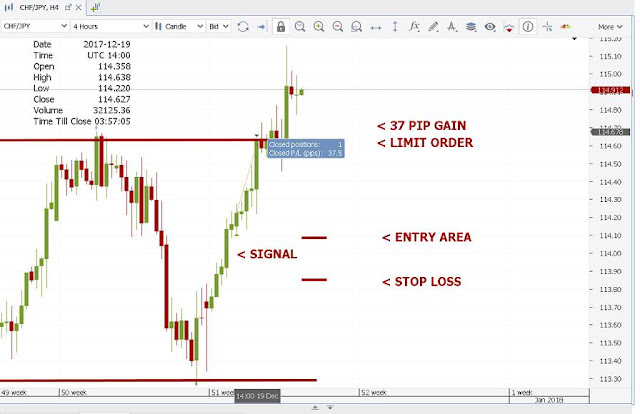 This accuracy provided the foundation of my previous strategy that captured 100-200 Pips per trade over the last few years and which led to an average return of 40% each year. While this was a good conservative performance that was a safe approach to long-term profitability in a dangerous market with a high failure rate, the recent narrowing of exchange rate movements has made targeting large trends and breakouts a very risky activity. This therefore led to the search for a more aggressive approach that takes advantage of these smaller Pip Ranges. So instead of going after large gains over 5 to 7 days, shorter targets of between 50 to 70 Pips are now the focus to best take advantage of the narrow trading ranges. 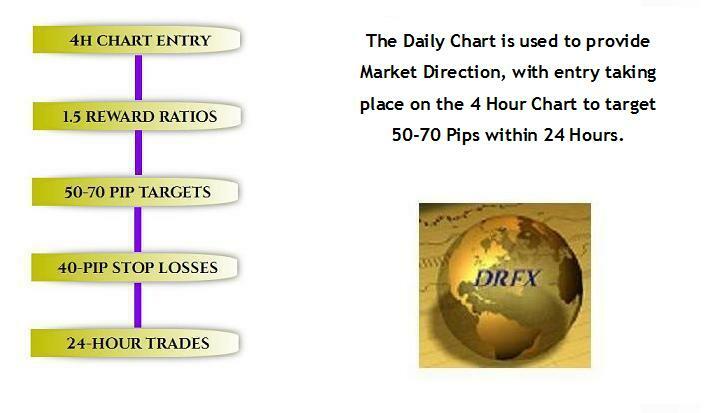 Both the Daily and 4 Hour Charts are used to identify market direction over a 7 day period. Once identified, the 4 Hour Chart is then used to trade in this direction for the targeted Pip Gain. These are the only areas deemed strong enough to protect trades until the trade targets are hit. If these are not present on the 4H, the trade will be deemed too risky and will be foregone to avoid losses. Due to the narrow range of currency movements that we see each month, more Consolidation Setups have been formed across Currency Pairs with very few of them providing stable and reliable breakout opportunities as they had in the past. This is why my trading is done strictly within the Consolidation Setups formed on the Daily and 4 Hour Charts. 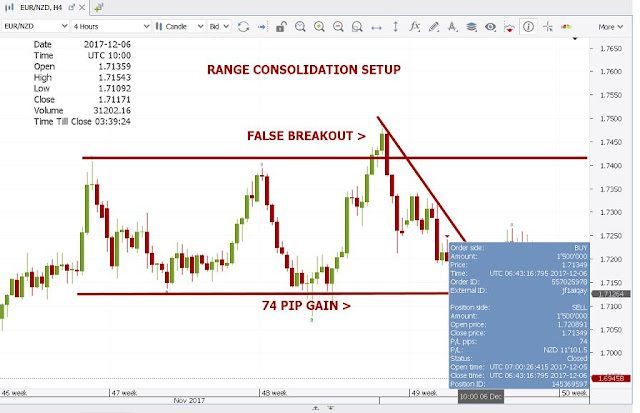 Consolidations that have a minimum distance of 150 Pips and a maximum of 400 Pips between Support and Resistance are the ones that are traded. These allow me to comfortably capture my trading targets within these wide ranges, while not having to wait too long for these gains to be realized. On average, there are 1 to 2 of these High Probability Setups that arise each week. This means that with an average time of 3 to 7 days between trades, I do not have to be tied to my computer screen everyday and will have time to recover from both the euphoria of a good trade as well as the disappointment of a loss. The Risk Per Trade that I use is 2% on average, targeting an average Monthly Return of 14%. This is in line with the Monthly Return that I now want to capture over the long-term. The next 24 to 48 Hours could see the CHF JPY pair providing us with a trading opportunity to go short as the Japanese Yen looks set to resume its gains that started at the end of the previous week against a few currency pairs across the market. Once the 4 Hour Chart provides us with a strong Setup and Signal to confirm the continuation of this downtrend, trading gains of between 50 to 70 Pips could be captured for a 2% to 4% Return. 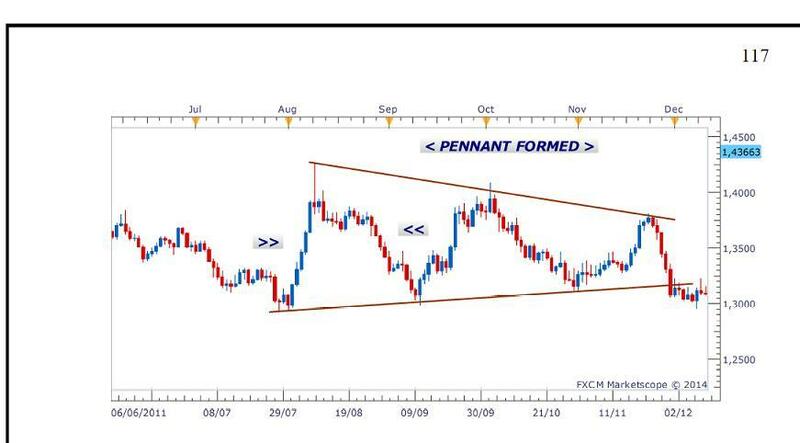 From the Daily Chart below, you can see that a fairly large Pennant Consolidation Setup has been formed that has controlled the movements of this currency pair over the last few months. More recently you can see that a Bearish U- Turn has taken place at Resistance that now appears to be setting the tone for what to expect this week. Assuming this movement continues, the 4 Hour Chart will give the green light to start opening short positions, with the first one expected between today and Monday during the Asian Trading Session. 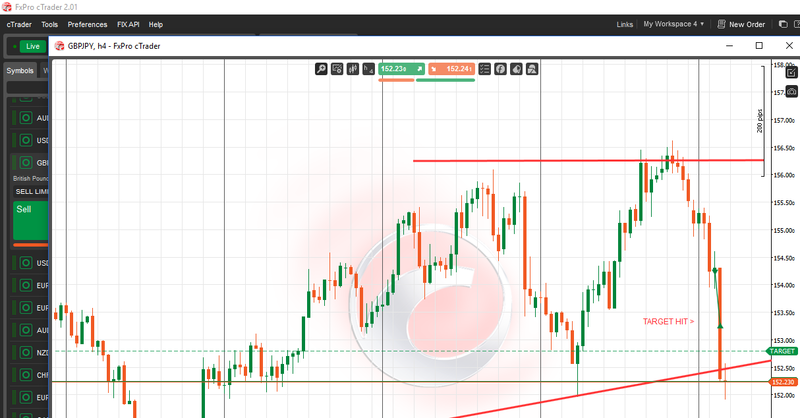 Offers 50 -70 Pips comfortably from entry to an area just above Support. Requires a Stop Loss no larger than 45 Pips. Provides a Strong Stop Loss Area such as the High of the Candlestick Signal formed or a Trend Line to adequately protect the trade. As soon as a signal has been given that meets these criteria, you will see the result of the trade described here. 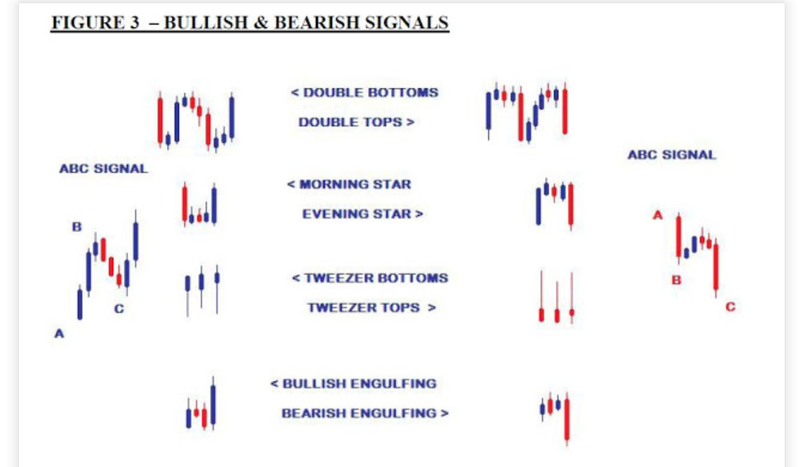 In the meantime, re-familiarize yourself with the common Bearish Signals that tend to provide reliable entry signals in downtrends and be ready to trade any of them in the next 48 Hours. 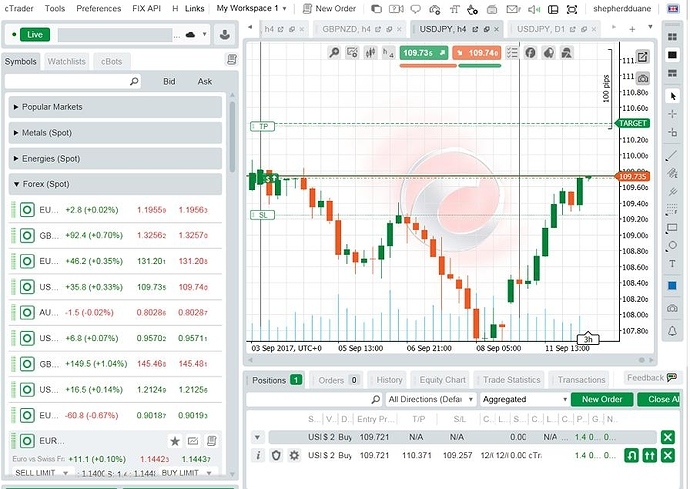 Following the previous update and analysis of the CHF JPY yesterday, we are now seeing the pair pulling back as expected on the 4 Hour Chart following the strong U-Turn at the Pennant Resistance of the Daily Chart. 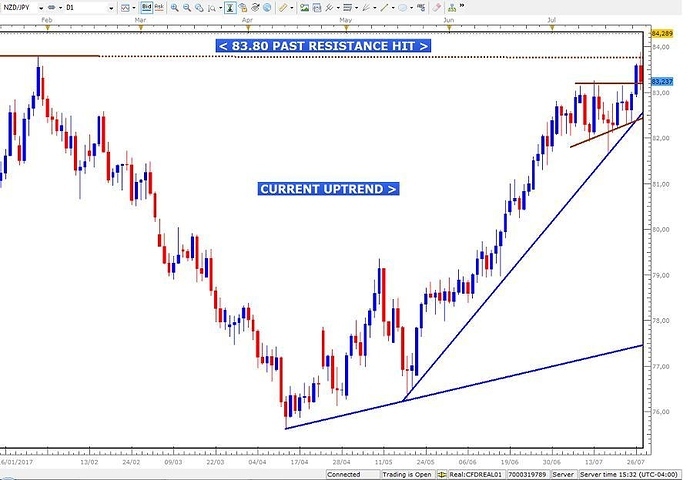 What is now needed is a strong Bearish Signal to confirm the continuation of this downtrend and that provides trading gains of between 50 to 70 Pips. An example of the Signal that could be given is this one on the NZD JPY on its 4 Hour Chart last year. It was a similar Counter Trend Line (CTL) setup now on the CHF JPY that could also be given. Let’s wait to see what is given and if it is strong enough. Well unfortunately this pair has not given us the Bearish Signal as we hoped to capture a trading gain of between 50 and 70 Pips and based on the nature of the pulling back taking place, it appears that this will not be provided. From the chart below, you can see that even though the pullback has taken place as predicted ( See Previous Posts) on the 4 Hour Chart following the recent Bearish U-Turn, it is too large a reversal to expect a “Well-Behaved/ Stable Signal”. Now the reason I believe that this is unlikely to provide a good signal is that whenever the 4 Hour Chart is going to provide a profitable setup in a trend, the reversal in the form of a Counter Trend Line is usually neither this large nor does it take more than 12 -16 hours/4 Candles. The longer it takes to pullback before giving a signal the riskier the setup is becoming. In many cases, it could mean the formation of a Consolidation Setup instead or a major Reversal altogether. In situations like this, we should simply avoid the pair for the time being and look at another pair or come back to this one only if we see something more stable and reliable - whether Bullish or Bearish. As was expected yesterday, the CHF JPY has become somewhat unstable now, with the pair showing Bullish intentions and threatening to either rally or move sideways in Consolidation, following a weak and unconvincing Bearish Signal given a few hours ago. The Chart below shows the Bearish Break of the Counter Trend Line that has now been taken out by a Bullish movement. As always, whenever the market is giving mixed signals, stay away from the pair and trade another one until this pair provides greater clarity with stronger signals. Despite the strong Bullish Signal that has appeared above the Resistance of the Daily Pennant, the current market conditions that have restricted major currency breakouts are likely to lead to a False Breakout Reversal in favour of the JPY, taking us back inside of the Consolidation Setup. 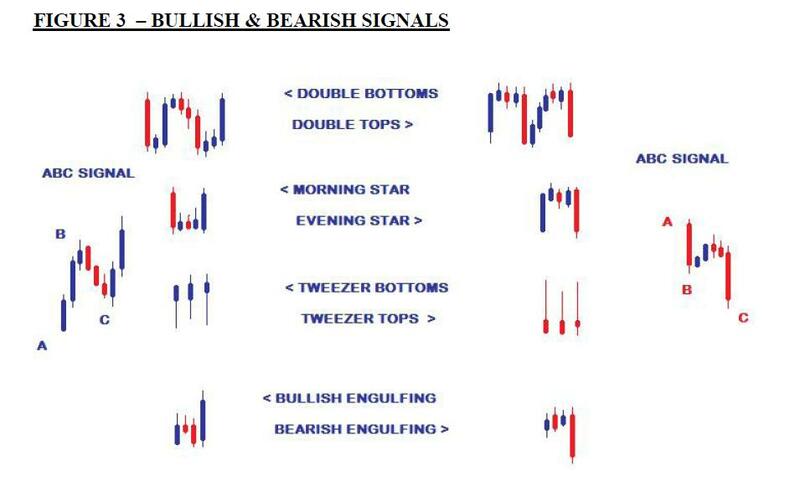 Become familiar with these signals right now so that you will be ready to start trading short in the next 48 to 72 Hours. As long as I see a Setup and Signal on the 4 Hour Chart that meet the following criteria from the Trading Strategy, I could earn a fast Return of between 2% and 4%. Offers 50 -70 Pips comfortably from entry. 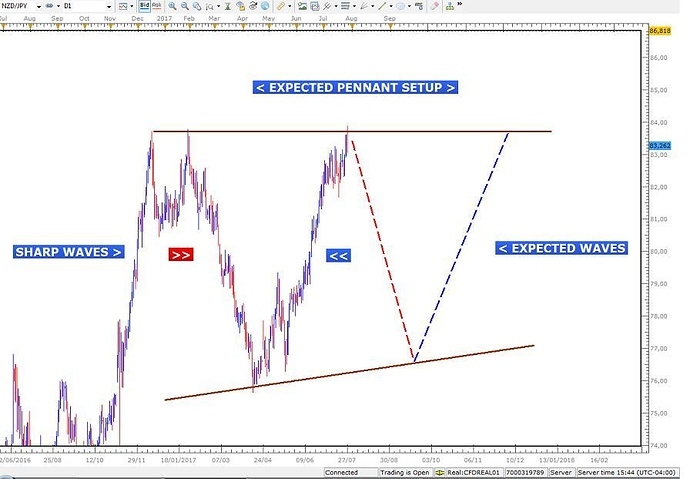 Requires a Stop Loss of 40 Pips - maximum of 45 Pips. As soon as a signal has been given that meets these criteria, you will see the result of the trade described here. Hey traders, how goes it? So far for February, up 7.34% from just 2 trades on my Live Account, with the GBP JPY providing 100 Pips and a 5.14% Return during Mondays market selloff to add to the 2.05% on the AUD NZD last week. This trade was part of the strategy of trading short term moves on the Daily and 4 Hour Charts that have a High Probability of Success. Most targets are on average 50 to 70 Pips, but with pairs like the GBP JPY that have a larger range, 100 Pips was deemed an ideal target. 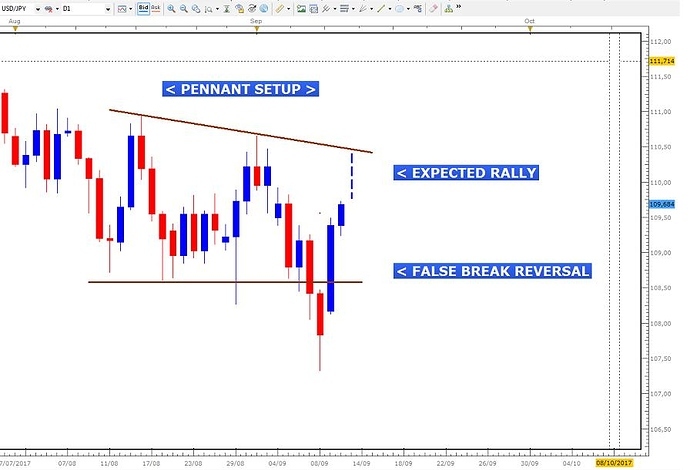 As stated in description of my strategy, FXCM Charts are used to provide me with the Candlestick Patterns and Signals for market direction and entry because of the greater accuracy of their Candles-in particular the New York Close of the Daily Candle- compared to other platforms. 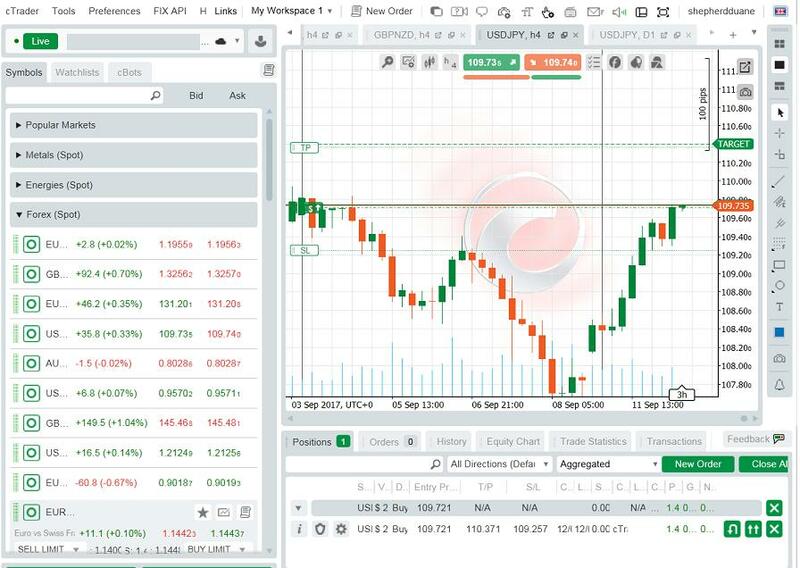 However, I use FXPro for my Live Trades because of the better user interface with features like seeing the actual Risk and Return % Values before you execute the trade. The Screen shots below show that the Daily and 4 Hour Charts looked as if they were forming a Pennant Consolidation and that the Bear Crown/Head and Shoulders (HS) pattern formed on the 4 Hour would continue the downtrend. So this was another great example of how we can spot and trade great setups on the Daily and 4 Hour Charts using accurate Candlestick Signal that can make decisions much easier and safer. Being up 7.0% so early in the month and assuming few losses along the way, the next few weeks should provide the trades that push me to the first of 6 Monthly Targets of 30% over the next few months.